Get stuck into this lot. It’s worth it. 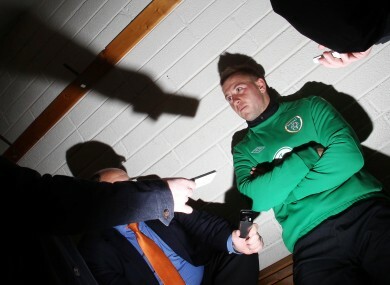 Simon Cox meets the press at Malahide this week. ESPN The Magazine featured Wayne Rooney as their cover boy this week. And the interview lives up to the billing. Shane Stapleton reimagines last week’s dramatic Premier League denouement at Eastlands… as a GAA match report. GQ’s Jean Marie Laskas asks how can we keep watching the NFL in the face of evidence of long-term damage. Has Northern Ireland forgotten about it’s own game, Keith Bailie asks at the Football Ramble.